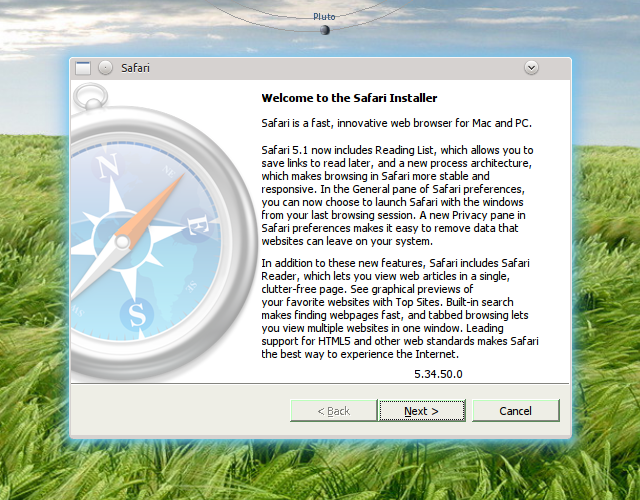 Following on from installing Safari 4 on Linux/Ubuntu here’s how to do things for Safari 5.1. 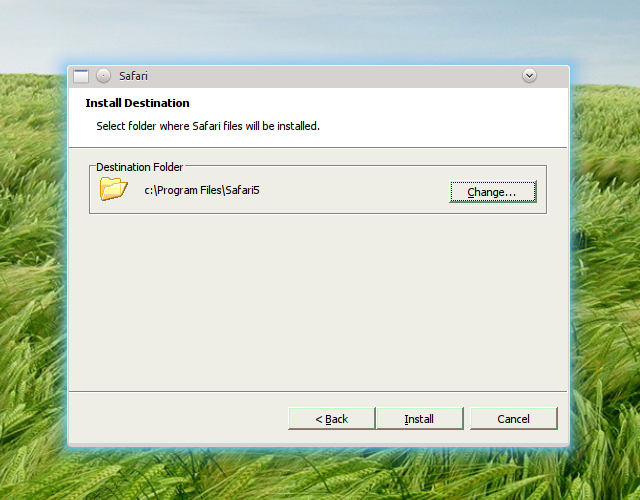 If you have problems then check back there for steps, eg using WINEtricks, to aid installation. 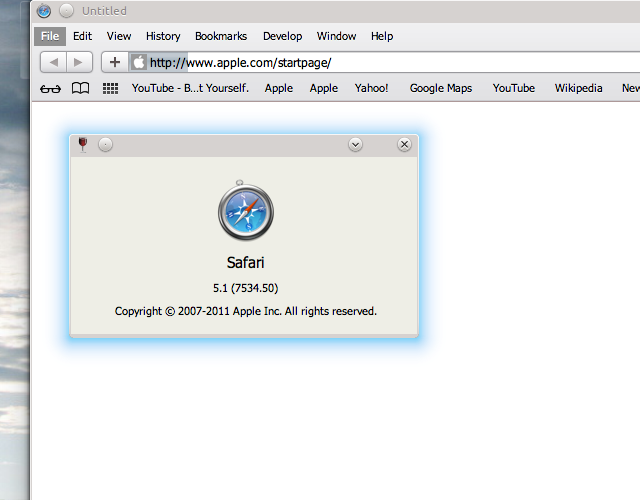 Depending on your setup, open the app and WINE takes over and runs the Safari installer. 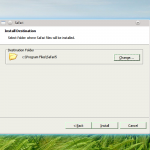 Make sure the executable bit is set in the file properties first (e.g. using chmod at the command line or using your file managers properties dialog). Don’t install Bonjour, I skip creating icons and installing any other chaff too as it happens. 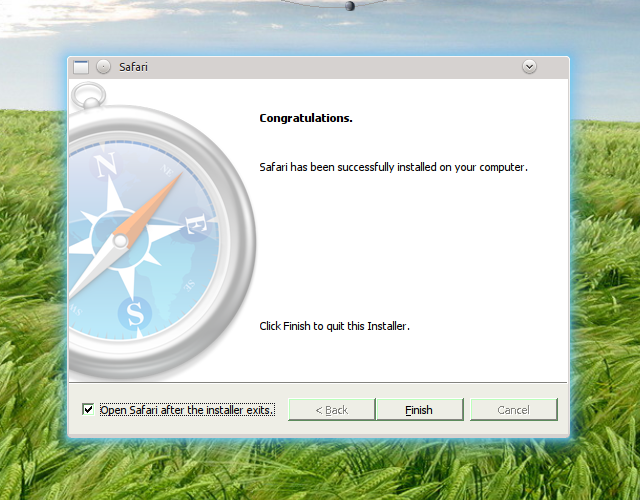 Once installed I let it start Safari up. You may need to stop the Apple start page from loading as a video there appears to crash some installs of Safari on WINE. Now, this could be a problem. I’ve used Kubuntu 11.04 for x86_64 for this installation with the default install of WINE 1.2. I’ve also tried with the Ubuntu wine-1.3-dev package with similar lack of success. Everything seems to work apart from navigating to websites. Now I know Apple like to keep things clean and minimalist but I don’t think this is the intended function. WINE gives no errors, installation gives no errors. No clues yet … will be sure to update when I have some! 4 Responses to "Install Safari 5.1 on Linux"
Wine install ran fine; Safari download and install ran with no errors. Safari opens to a white screen but goes nowhere. Oh well, it was only a curiosity for me. I don’t need Safari anyway. Just wanted to see how WINE works. wine still works fine for installing. still no activity for network. seems stuck, buttons work, menus, settings, etc.. just no net.